​The men of St. John who, by God's grace, build men's faith, relationships, witness and service within our congregations, community and the world. 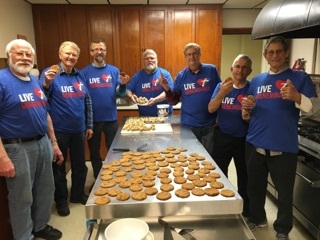 Men In Mission serves pancake breakfasts the first Sunday of the month and sponsors a bus trip to the "Lutheran Night at the Twins" game each summer. We prepare care packages for college students and sponsor Christmas Caroling for shut-ins. We meet on the fourth Tuesday each month for devotions, fellowship and a special event. To find out more, please contact Russell Tesch at (507) 835-3843.